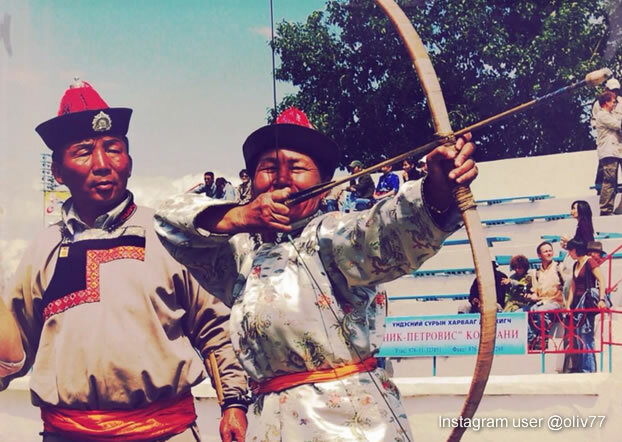 With vibrant Nomadic culture explodes in Genghis Khan's land, the annual Naadam Festival has earned itself a name by attracting worldwide attention to its fascinating games and festivity. Follow our latest travel guide to enjoy the summer event held in every July. Horse racing: Young jockeys, boys or girls from 5-13 years old, test the horses' skills to race along the plains for 15 to 30 kilometer. The inherited game ties the days of Genghis Khan to present. Archery: Opening to both men and women to compete under separate gender categories, but is tend to disappear due to insufficient participants. Wrestling: A highly male-dominated competition that is more popular with urban residents. Formidable titles, such as elephant, lion, and Titan, are given to the winners of a different stage. At the opening and closing ceremonies, visitors will also enjoy colorful parades performed by soldiers, athletes and monks. Other by-contests like ankle bone games will be held outside the stadium too, with many Mongolian tents, musicians and food vendors amid the market-like atmosphere. Once a Buddhist holiday, today the festival commemorates the 1921 independence victory of Mongolia. UNESCO recognized the festival as intangible heritage in 2010. Each year from July 11th to 13th, Naadam Festival is held at the national stadium in Ulaanbaatar, the capital city of Mongolia. The opening ceremony kicks off at around 11:00 am and the closing ceremony takes place in the evening. Following or prior to the week, the rest of the country organizes similar games at a smaller scale as well. To see the opening ceremony, wresting and closing ceremony held at the stadium, be sure to get a ticket, which goes on sale a month before the event and long queues are expected. Price normally starts from $25 for the opening ceremony day but also varies depending on demand. The best option is to book tours in advance with a tour operator that includes the entrance ticket for Naadam. Even if you are unable to get a ticket to enter the stadium, you can manage to see the archery in the archery field and the horse racing outside the city all for free. 1. Taking language barrier and rich historic stories into consideration, a private tour can maximize your visit to Mongolia. The free bus system the government built for the festival is very likely to ruin your experience. 2. Check your time with the competitions. Detailed information of the program is usually published on www.mongoliatourism.gov.mn in the first week of July. 3. A photography permit is available for the professionals who wish to get closer to competitions held in the stadium. Your tour operator can help get one. Ask for permission when shooting people's portraits. 4. During the ceremonies and the games, you don’t have to stick to your seat and are free to walk around for best perspectives. 5. Bring face mask to the horse racing field, where is extremely dusty! 6. 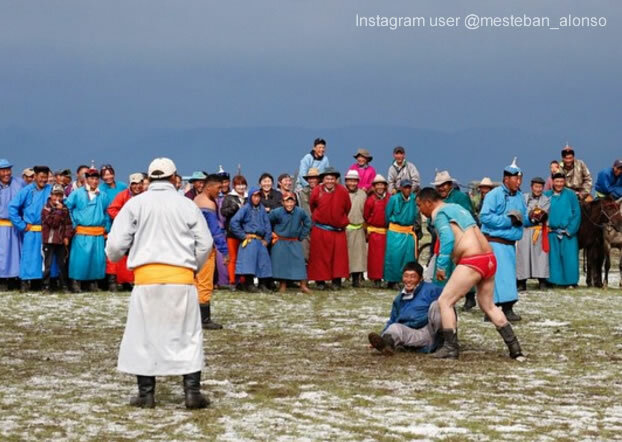 Knowledge of rural Naadam Festivals is not widely spread and very few of them are announced at fixed dates, either ahead of or after the main festival. To go off-the-beaten-path, you need to be flexible. 7. During the festival, monasteries, museums, and attraction sites are opened. But do contact your tour operator to make sure they are. 8. 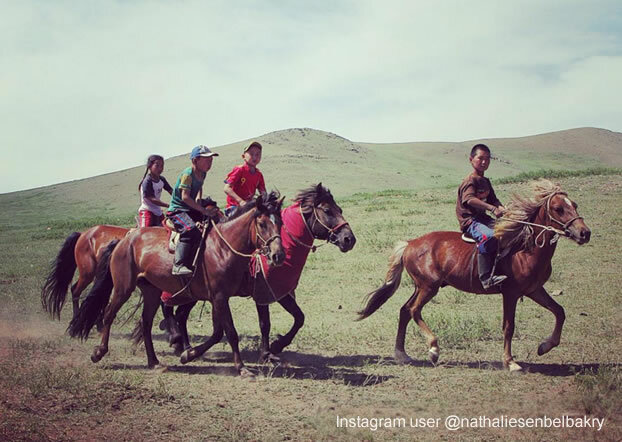 Naadam is beyond doubts a great event, but it should not be the only reason to visit Mongolia! Travel further to see amazing Gobi deserts, mind-blowing nature reserves and stay in a Mongolian family to experience the Nomadic life! The wildness is calling - write to to craft a private tour to Mongolia based on your own interest!  Mongolia is an ideal country to experience the nomadic culture. Your trip to this amazing destination can be less of a hassle and more enjoyable if you know some travel essentials beforehand. Keep reading to check out what these things are. A travel expert at Odynovo, Mathilda Wu has profound knowledge and rich experience of East Asia and Southeast Asia tours. For any questions or inquiries, write to , or read more of her tips.